Howick Falls is a 310 feet (95m) tall waterfall that lies on the Umgeni River situated in Howick, outside Pietermaritzburg, in the KwaZulu Natal Province of South Africa. The falls are the same height as Victoria Falls in Zimbabwe – if you love waterfalls, book your stay at one of a great Victoria Falls hotel and enjoy what of the most spectacular waterfalls in the world – are well worth a visit when traveling along the Midlands Meander. The indigenous Zulu people call it “KwaNogqaza”, which means Place of the Tall One, and the falls are still regarded with great superstition by the locals. According to folklore a giant serpent-like creature called “Inkanyamba” lives in the pool at the bottom of the falls and only sangomas (medicine men or women) are able to safely approach the falls for the sole purpose of offering prayers and perform acts of worship to the ancestral spirits and the “Great God” of the people. The KwaZulu Natal province has evidence of human occupation well over 30,000 years ago, but the falls were most likely only discovered during the early 19th century by European explorers. Given the legend surrounding the falls, it is most likely that it was a well-known site for thousands of years before any western influence. The falls and the surrounding area has miraculously remained unchanged since the first discoveries of man 30,000 years ago. While Howick Falls may not be famous as the tallest waterfall in the world, it certainly ranks amongst the most notorious. Many people have been swept over the edge of the falls from the early pioneering days when settlers believed that the easiest place to cross the Umgeni River was just above the falls. The first recorded death occurred in 1851 and since then a further 40 deaths were recorded involving the falls. Most of these were recorded as suicides but many were due to accidents and even historic murders, contributing to the legendary status of the falls. Aside from the scandalous deaths that have become a tourist attraction for many, the falls are breathtakingly beautiful to watch from the viewing deck as thousands of gallons of water cascades in a deafening rush to form a broiling, turbulent pool at the bottom. The scenery is mystifying and relaxing at the same time and the adventurous can walk from the viewing platform along Morling Road to the falls. Along the way, there are craft stalls and at the viewing platform, there are curio shops and a small coffee shop for refreshments. The attraction is in the pure, unspoiled beauty of the place and the excitement and danger of being in close proximity to such a dangerous body of thundering water. Three different trails offer visitors the means of getting closer to different vantage points for stunning photographs and experience the thrill of the falls. Howick Falls and Midmar Dam are in close proximity to the N3 and divided from each other by the town of Howick. 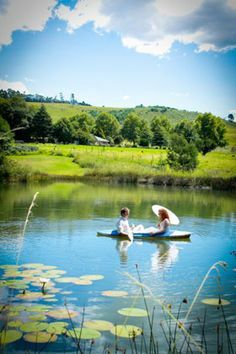 Howick lies right in the heart of the green rolling hills of KwaZulu Natal where a number of rivers and cascades can be found, which is why it is known as the â€œplace of many waterfallsâ€. The Umgeni River and its many tributaries follow the course of steep crags and gorges that combine to form incredible volleys of water rushing into pools and beyond until it reaches the Indian Ocean approximately 95 kilometers away. The official Gorge Walk at Howick Falls begins at Harvard Street in Howick and ends at the bottom of the falls. The Howick Falls Hotel was visited by Mark Twain back in 1896 and more recently it has been linked to the Capture Site of Nelson Mandela in 1962. A monument has been erected at the site to commemorate the multi-faceted influences and enormous effect that Mandela had on the identity of the South African nation. 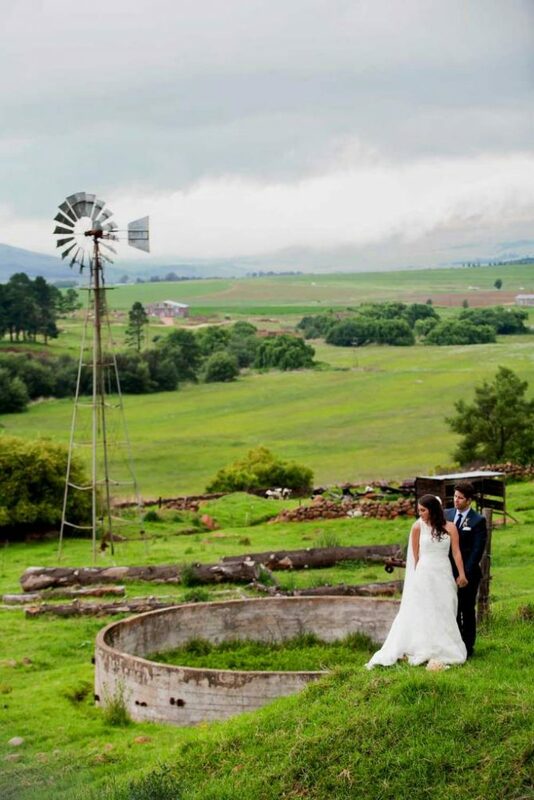 The Sakabula Golf Club is situated just outside Howick in the Natal Midlands with magnificent panoramic views of the Drakensberg and the surrounding mountain ranges in the area. The fine lush green vegetation of the South African outback is home to a multitude of wildlife species that can be seen running free on the plains. The Midmar Dam Nature Reserve consists of a wildlife game park of 1,000 hectares along a large stretch of water from the Umgeni River. Here typical African game like red hartebeest, black wildebeest, zebra, oribi, blesbok, and reedbuck can be viewed in their natural habitat. Among swimming races, there are many important events. While the Summer Olympics are seen as the height of the swimmer’s abilities and the most important event in competitive swimming, there are actually a wide range of other swimming events, ranging from local events intended to bring a community closer together in the summer heat to more intense events meant to be a test of a determined athlete’s prowess and mettle. These races can draw anywhere from less than a dozen to thousands of swimmers of all skill levels and physical states with the best of among them all going home with the prize. The largest race of this type is the Midmar Mile in South Africa. Held annually in February, this legendary swim meet happens at the Midmar Dam to the north of Pietermaritzburg, South Africa. The largest of its type, this swimming race draws literally thousands of competitors, ranging from athletes who have travelled the world to compete, Olympic medalists and all the way down to people who swim simply for the pleasure and recreation of the event. The 2009 event, in particular, was notable as over 13,000 individual competitors finished the race, forcing the Guinness Book of World Records to recognise that year’s event as the world’s largest open water swimming event. The race takes place at the Midmar Dam and is roughly one mile (or 1.6 kilometres) in distance, hence the event’s name. One particularly notable feature of this race is that the exact distance competitors must swim can and has varied year by year. Years, when there has been heavy rain fall, sees a larger distance swum by competitors as there is a larger amount of water at the dam itself, while years with limited rainfall tend to see the competition beginning with an event infamous among swimmers known as the Midmar sprint start. On years with less rainfall than usual, the beginning of the race is actually a sprint towards the water across a muddy lake shore and through the shallow portions of the water until they reach a point where the water is deep enough that they can actually begin swimming. While the lake created by the Midmar Dam is large, it simply can’t handle over ten thousand people all at once. To this end, the event’s organisers group swimmers into five groups at 3-minute intervals in eight separate mile races over the course of two whole days. The group an individual swimmer ends up in is decided by their time spend finishing an earlier qualifying event, with the fastest group being the one that takes the next nearest racing time and slower swimmers needing to wait. The event itself begins at Blackhurst Peninsula and stretches across a full mile of water that is not always filled to capacity. Weather changes can be surprisingly quick even in the summer season when the event takes places, meaning that swimmers will have to prepare to swim in cold water as readily as a more comfortable climate of water.